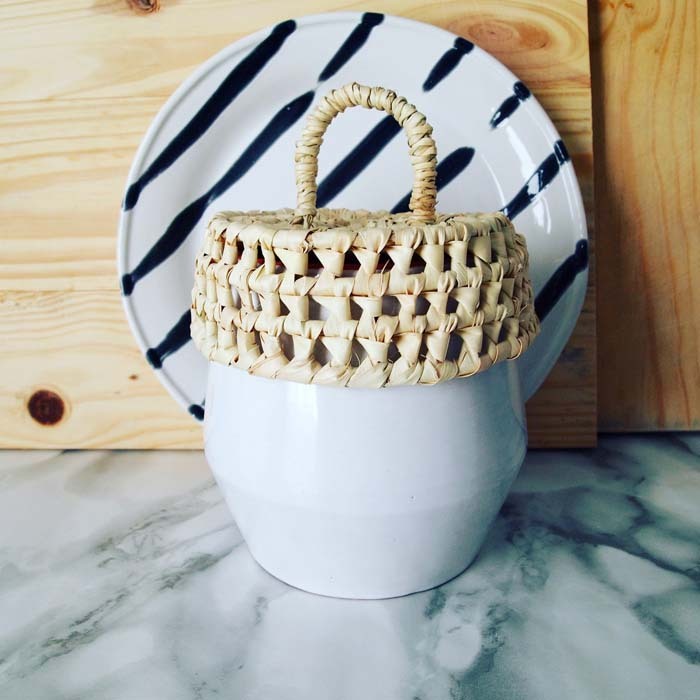 Casa Cubista is the happy accident that started with the idea that founders, Arren Williams and his partner David Pimentel wanted to share all of the things they make and find in Portugal with friends around the world. Based in Olhão, a bustling fishing port on Portugal's Algarve coast, the name 'cubista' comes from the unusual whitewashed and tiled cubist style of buildings found in the alleys and streets of the old town. 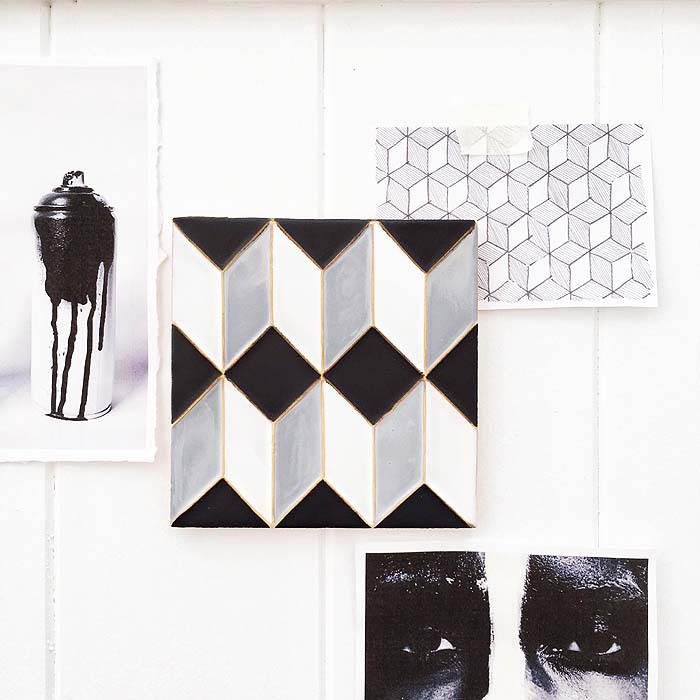 Many of you may know Arren from his gorgeous styling, editing and trend reporting skills here in Canada's shelter magazines and also the former Creative Director at The Hudson's Bay Company, but now he's living overseas with David in the Algarve coast creating their beautiful home decor collection. 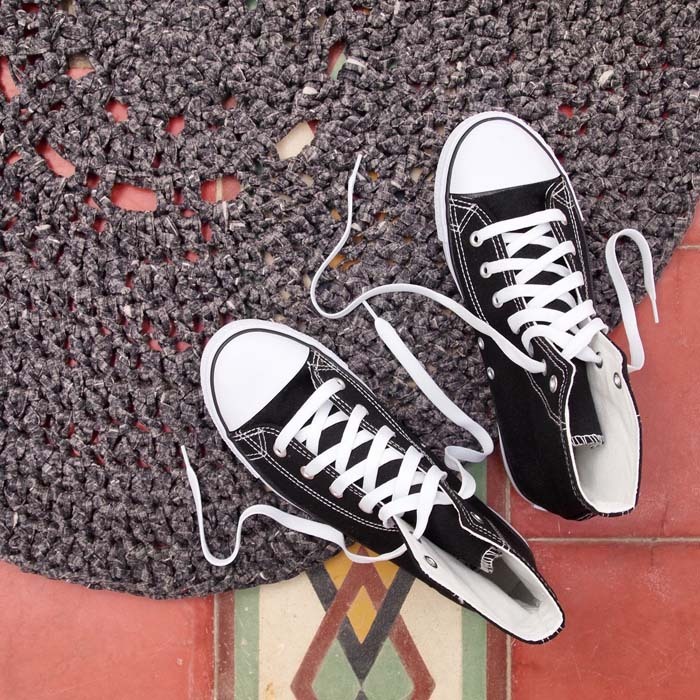 You can find their entire collection online at casacubista.com and a few other listings also on Etsy at etsy.com/shop/CasaCubista. Let's take a look! 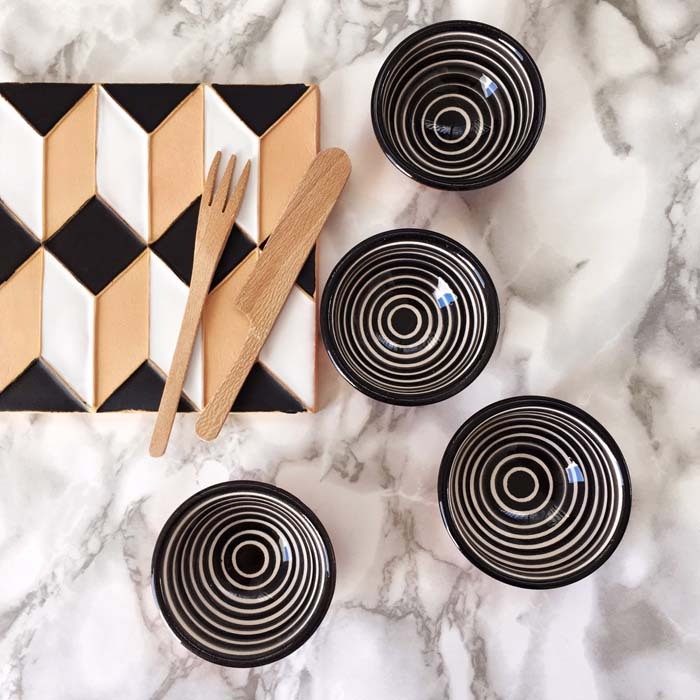 Inspired by the traditional Moorish pattern found in Portugal, we're loving these graphic terracotta tiles, each, satin glazed in a contemporary black, white and grey finish perfect to use as a tray, trivet or go big and use as a series and hang on the wall. 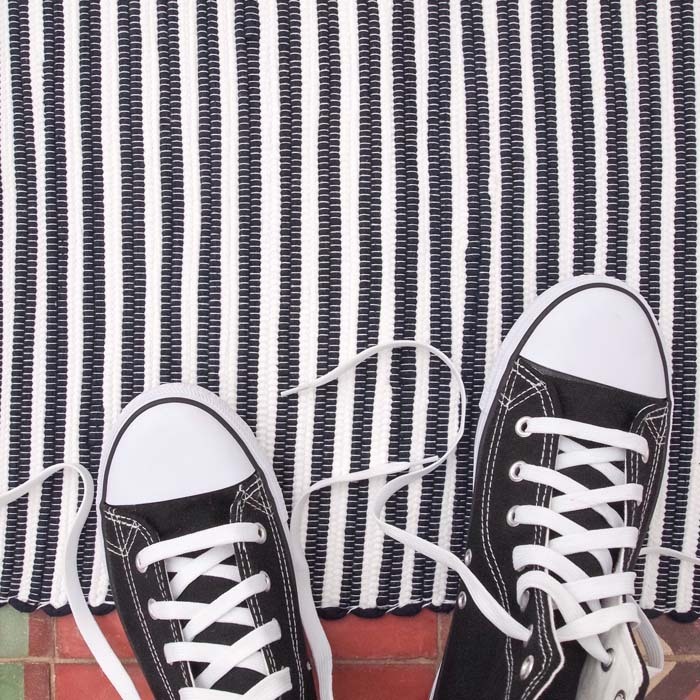 These graphic embroidred pom pom rugs initially started out as Portuguese rag rugs but were given a modern edge with graphic black yarn embroidery and pom-poms. 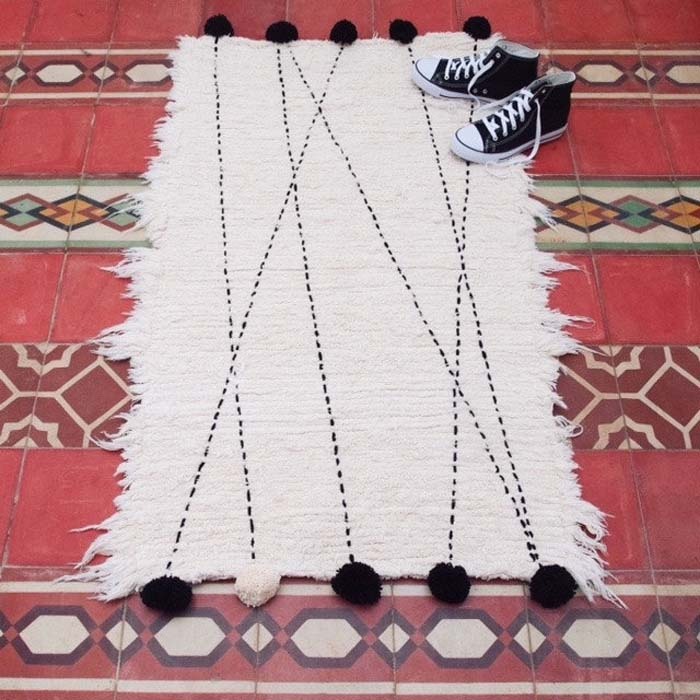 We love that one pom pom is off white and the rest are black. 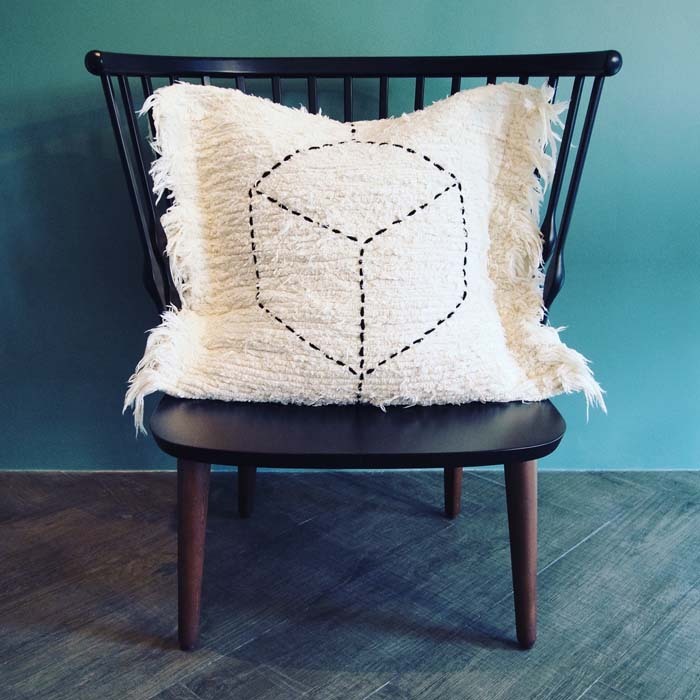 Also starting out as a rag rug, this pillow has had a graphic black yarn embroidery added to it, then hand-stitched into a cushion cover. 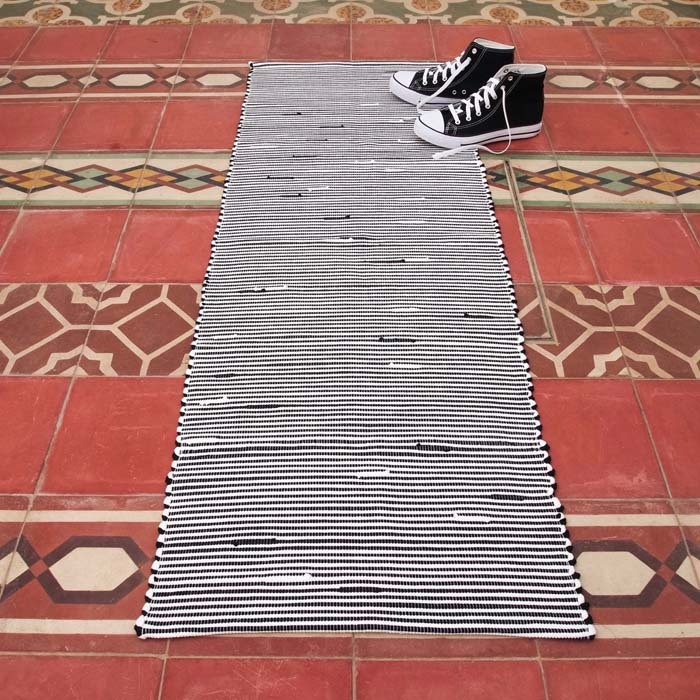 These extra long black and white striped runners are handmade at home on a small loom with yarn made of cotton jersey. 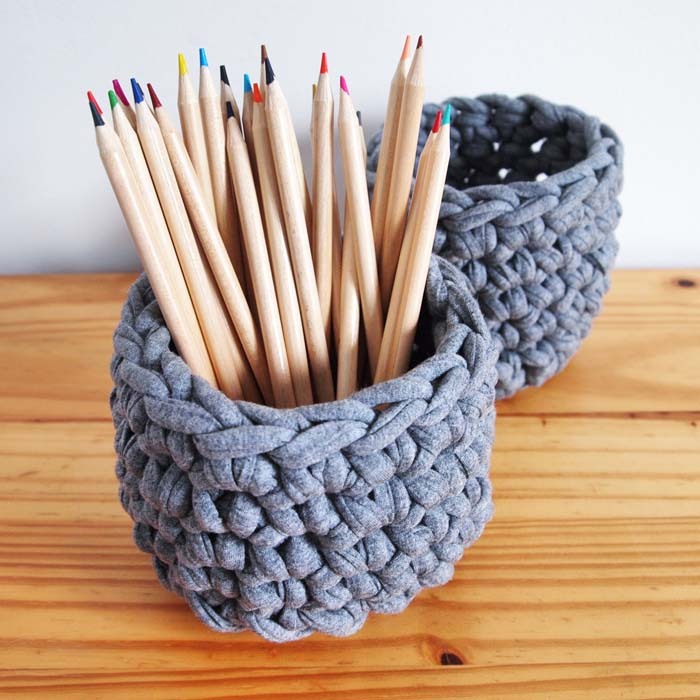 Soft storage baskets and rugs (below) made with a heavyweight yarn made of cotton-rich jersey (t-shirt fabric). 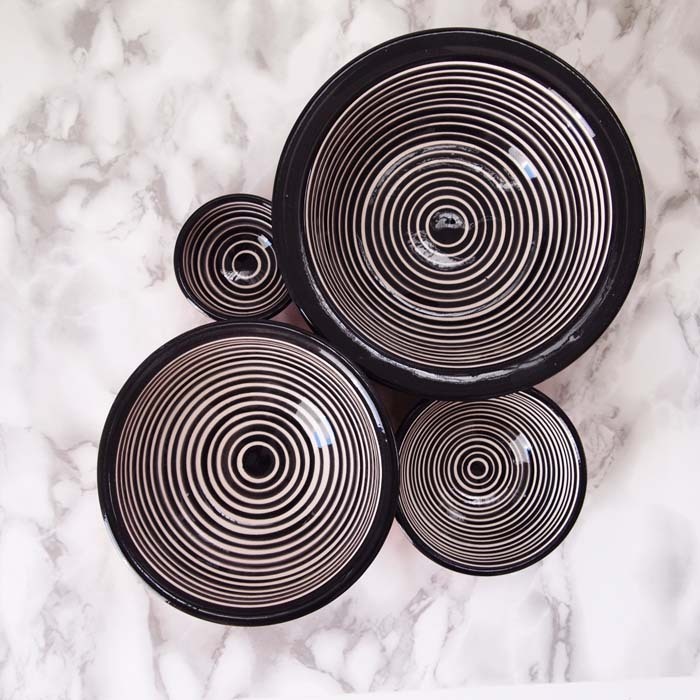 Made by a pottery in the Alentejo area of Portugal, these terracotta bowls are prized for their hard-to-find black and white design and the fact that each is hand-thrown and hand-decorated. 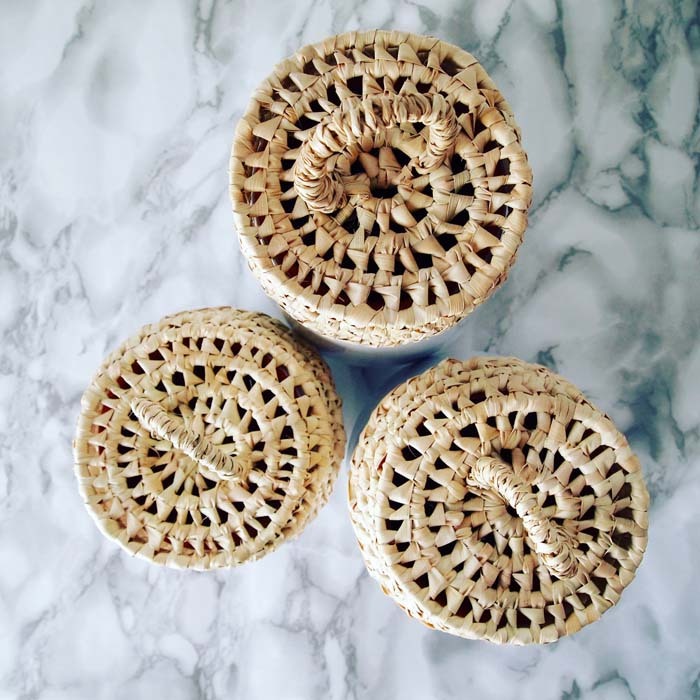 Inspired by Portugal's Moorish heritage and ancient Islamic earthenware containers originally used throughout the Algarve, these storage pots come in three different sizes. 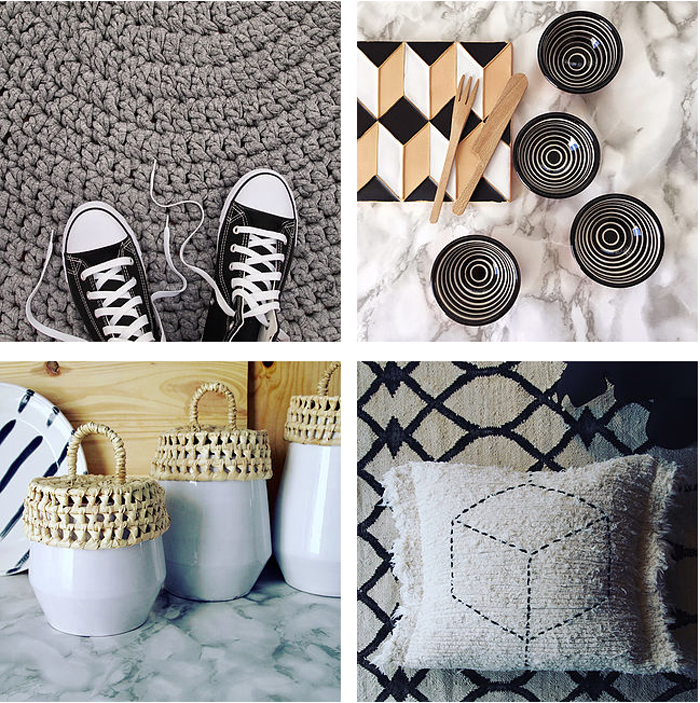 These are just a few of the beautiful wares from Casa Cubista. 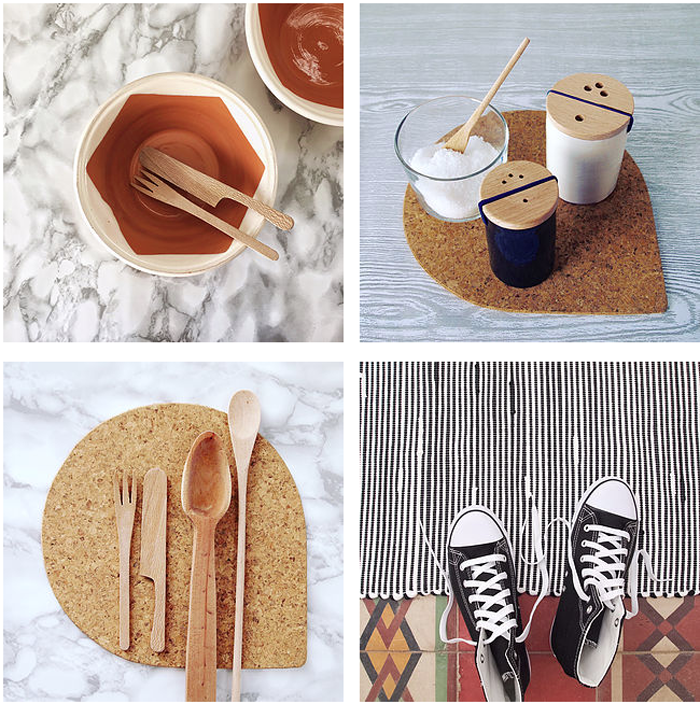 Click here to visit their shop and here to follow them on instagram. 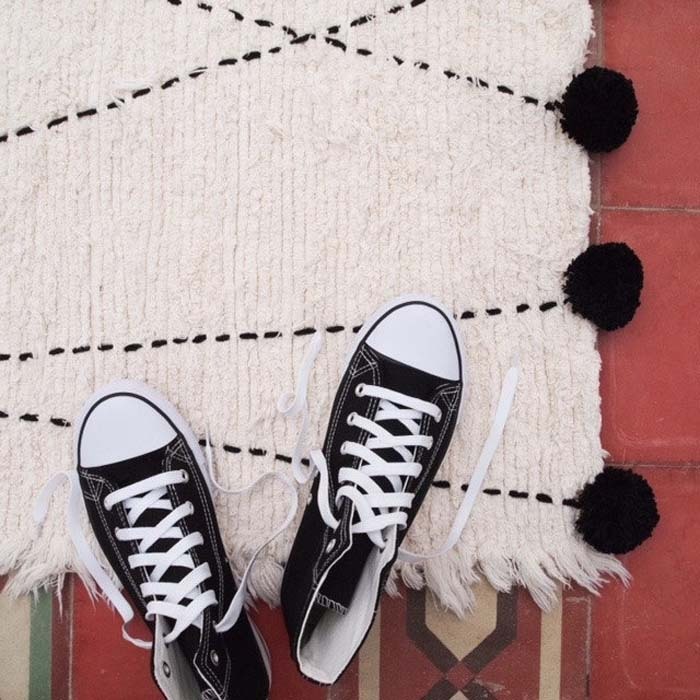 That pom pom rug is my favorite!